What's The Big Deal Between HubSpot COS and CMS? Are you looking to build a website? Do you have no idea where to start? Maybe you have found yourself asking what platform you should build on. If you are like me, acronyms have probably started to run together. COS, CMS, ABC . . . what do they all mean? Hopefully we can help by explaining the difference between a CMS and HubSpot’s COS. Keep reading to be on your way to a better understanding of content systems. CMS stands for Content Management System. CMS makes it easier for people like me (read: no coding experience) to create and publish web content. You may have even used a CMS platform during your time as a marketer. These platforms include WordPress, JoomLa, and Drupal. Wordpress is the most popular and the most well-established of the CMS platforms. It has been around for about 15 years, and it has many plugins that you can use to accomplish nearly anything you’d like. HubSpot’s CMS, which launched about four years ago, is called a COS. It stands for Content Optimization System. HubSpot’s COS differs from a traditional CMS because it is an all-in-one solution to your marketing needs and it allows you to create more personalized experiences for your audiences. The HubSpot COS was built entirely around the inbound marketing strategy—another key difference between it and a standard CMS. If you do not need a marketing automation system, WordPress may be the best platform for your website. 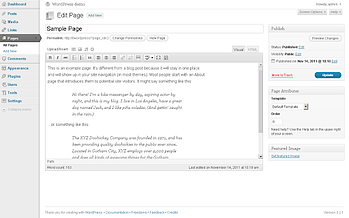 WordPress started off as a blogging platform and has transformed into a CMS that many websites are built on today. WordPress has thousands of reasonably priced themes and plugins to help a user create the website or blog of their dreams. The best part about WordPress? Its simplicity. 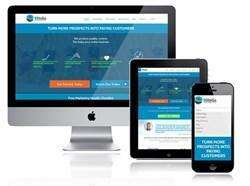 It allows you to create a simple website quickly and without too much hassle. But if you are ready to get fancy with your marketing efforts—incorporating forms and landing pages, for example—you are going to need to find a plugin or third party tool. While these tools can be useful, they can lead to problems, like poor security or slow page load time on your website. As you know, slow page load time can affect your SEO. If you are using WordPress, it is smart to have a developer to call when things get hairy. HubSpot is just as much a CMS as WordPress is—for example, similar to WordPress, you can purchase templates from HubSpot’s template marketplace. The difference is that HubSpot goes above and beyond a typical CMS. We have written countless blogs about all of the ways you can use HubSpot. 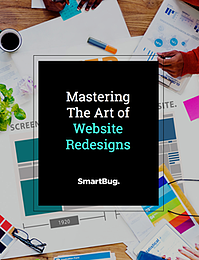 With HubSpot, you can still pretty easily create content and design your website, but that is just the beginning. HubSpot's COS sits on top of your marketing database and allows you to serve up personalized experiences and content based on your visitors’ location, past behavior on your site, and other factors. So what does that mean? Essentially, not everyone who comes to your website will receive the same content. You can offer consideration content to Johnny, who is in the consideration stage, while Susie, who is a customer, might see a survey about her experience. As a marketer, this helps you create a more valuable experience for your audience. In today’s age, if a user can’t immediately find what is of use to them, they will quickly add to your bounce rate. Another plus for the HubSpot COS is that all of HubSpot’s out-of-the-box website designs are responsive. This means the website will always be optimized, whether your user is on a tablet, mobile phone, or huge desktop computer. With HubSpot, not only are you equipped with a responsive, smart website, you are also able to seamlessly use forms, workflows, landing pages, emails, social media, and even sales tools. All of these tools being tied together under one platform allows you to create a holistic approach to your marketing. Are you looking for more information on the differences between HubSpot and WordPress? This webpage easily lets you compare the two options. What do you think? What are some other differences between CMS and HubSpot’s COS? Mary Cate Spires is a Strategist at SmartBug Media. 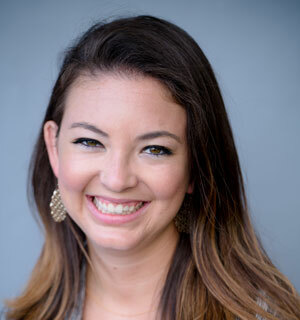 With over five years of experience running inbound programs in the technology, healthcare, fitness, senior living, and nonprofit industries, Mary Cate loves to help customers grow and achieve their business goals. She is on the Board of Directors for the Columbia Chapter of the American Marketing Association. “MC” graduated from the University of South Carolina with a degree in Public Relations and a minor in Sports and Entertainment Marketing. Her best friend is her 5lb Morkie, Harley, with whom she loves to binge watch any tv show. Read more articles by Mary Cate Spires.